Apple Corps Ltd. and WingNut Films Ltd. are proud to announce an exciting new collaboration between The Beatles and the acclaimed Academy Award winning director Sir Peter Jackson. The new film will be based around 55 hours of never-released footage of The Beatles in the studio, shot between January 2nd and January 31st, 1969. 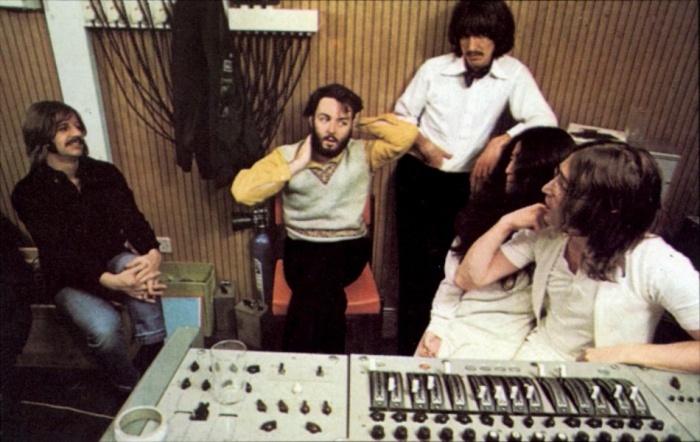 These studio sessions produced The Beatles' Grammy Award winning album Let It Be, with its Academy Award winning title song. The album was eventually released 18 months later in May 1970, several months after the band had broken up. Peter Jackson said, "The 55 hours of never-before-seen footage and 140 hours of audio made available to us, ensures this movie will be the ultimate 'fly on the wall' experience that Beatles fans have long dreamt about - it's like a time machine transports us back to 1969, and we get to sit in the studio watching these four friends make great music together." Photo credit: © Apple Corps Ltd. Apple Corps Ltd. and WingNut Films Ltd.